To meet the challenge of ‘Eradication of Avoidable Blindness’, we have started one more full-fledged eye hospital in Pali, Taluka – Sudhagad. Our basic focus is communities in and around Pali, Sudhagad, Khopoli, Roha and Nagothane, with residential population of 2 lakhs individuals. These areas at present are inadequately provided with any health care facilities, availability of only 9 hospitals per 100 thousand inhabitants, lack of health care awareness, with more than 30% population below poverty line, very poor transport facility, no other ophthalmic facility in the vicinity of 40 kms and a tertiary eye care center is 60 kms far. Patients have to walk down for 1-2 hours to reach for a transport facility, that also is unpredicted. 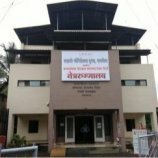 Our eye hospital at Pali is the only resource and convenient place for the patients in this area. Patients who are in need of these facilities will have to spend full day for a procedure of 5 minutes in addition to at least double transport charges and loss of wages of at least one person. This eye hospital at Pali will help patients in that area to avail the facility of quality eye care at their doorstep, as they don’t have to travel long distance for the same. We, along with fully equipped OPD, have state of the art Operation Theater in this hospital with all the facilities for primary eye care. In the year 2017-18 we have examined 5000 patients and performed 500 surgeries out of which 300 are totally free for patients. 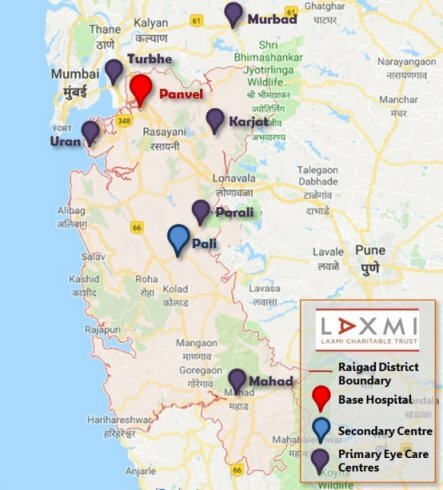 As a part of our plan, we need to establish network of Primary Eye Care Centers at various places in Raigad and nearby areas of Thane District. Primary eye care (PEC) is an integral part of comprehensive eye care. It is targeted not only towards preventing blindness and visual impairment, but also towards providing services to redress ocular morbidity. PEC is a frontline activity, providing care and identifying disease before it becomes a serious medical condition. Primary eye care is delivered in many different ways. However, it all aims at making eye care services available within reach of the community. We started working on such a network in 2006, when our first PEC was established in Mahad. This PEC has helped thousands of people in and around Mahad and Poladpur. In 2010, we started one more PEC at Karjat. This is a Taluka with a high proportion of Adivasi population. 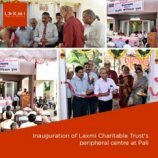 This centre has provided much needed eye care to them almost at their doorstep. Although a part of Navi Mumbai, this village is deprived of health care facilities. Recognising the need for eye care, we started a PEC with the support of Sightsavers International in 2016. Till March 2018 we could cater to more than 24,000 patients who are in need of quality eye care. Even in the year 2018, there are few villages in Raigad district where people have to walk for over an hour to avail of public transport. Parali is one such village 20 kms from Pali, which itself is surrounded by 82 other villages where there is no public transport route. We have started one PEC at Parali in Februrary 2018 to help people of this region. 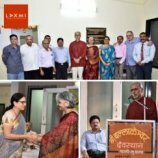 This centre was inaugurated on 25/07/18 in Murbad Taluka (Thane district), where 90% of the total population of about 2 lakh people resides in rural areas. There are limited eye care facilities in this Taluka, as well as the neighbouring Talukas of Shahapur and Bhiwandi, the latter with populations of 3 lakh and 11 lakh respectively. 60% of this population lives below the poverty line. L&T Technology Services supported us by providing both the equipment and a grant to run the centre. L&T Technology services and corporator Hon. Shri Ganesh Shinde supported us to establish a primary eye care centre at Uran. This region has a population of 1,60,000 with about 50% of population living in remote and rural areas .The centre was inaugurated on 28/07/18 at the hands of Hon Shri Anant Gite (Union Minister for Heavy Industries), Hon Shri Shrirang Barne (MP) and Shri Manoharsheth Bhoir (MLA, Uran).